Blueberry Cheesecake from the Fogg Father Range of E-Liquids: so we get the blueberry (good but hardly unique) and then it starts getting interesting because we add the cheesecake (which has to be the best I've ever tasted) so we have blueberry, soft cheese and crushed digestive biscuit and as combination it is so good but you still get the kick of the blueberry on its own too; incredible. 50 ML Blueberry Cheesecake from the Fogg Father Range of E-Liquids comeswell packaged in an attractive box with a 60 ML bottle with 50 ML of Zero Nicotine E-Liquid. You can, if desired, add the optional nicotine shot(s). 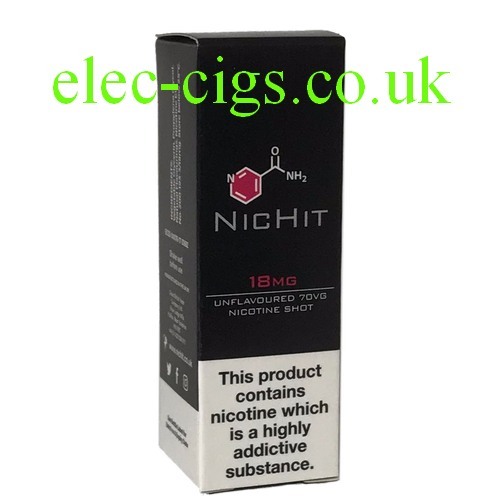 If you add one 10 ML nic-shot it would make the nicotine content of the whole mixture approximately 0.3% ( 3 mg) and if you add two shots then it would make the nicotine content approximately 0.6% (6 mg). You can vary the amount to suit your personal preferences and by gradually reducing the amount you can, with willpower, eventually manage without nicotine altogether. This can be used in any electronic smoking device it is a 70-30 (VG/PG) mixture. 50 ML Blueberry Cheesecake from the Fogg Father Range of E-Liquids​; Only persons aged 18 years or older may purchase this product; by purchasing you confirm that you are of a legal age to do so. Any description of the e-liquid is a personal, subjective characterisation of the taste and is intended as a guide only. If purchased with the optional Nicotine Shots then this product contains Nicotine which is a highly addictive substance.